The Michigan Department of Transportation awarded the City of Grand Rapids a three year bike grant for a program intended to improve bicycle safety, knowledge of responsibilities and promote share the road culture. Through the Michigan Department of Transportation, a bike grant totaling over $631,000 will implement, evaluate, study and develop bicycle safety over a three-year period. Working with motorists and cyclists, the grant will work to engage both in understanding the values of sharing the road. The grant will provide safety education concerning bicycling in traffic. Plans include education regarding the responsibilities of both motorists and cyclists. “I’m excited for the amount of bicycle education the City of Grand Rapids will be able to do through this MDOT grant. 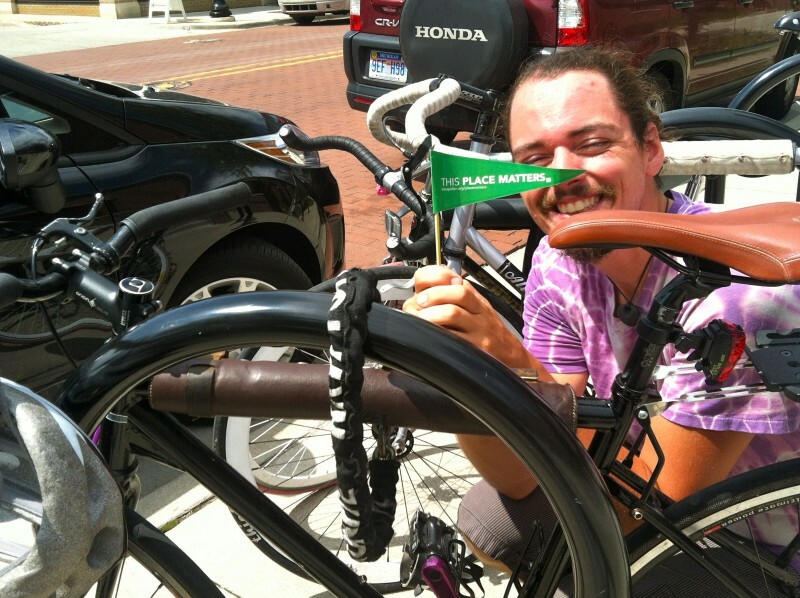 My hope would be that through this education, there will be some significant culture change on the part of both cyclists and drivers so that we all share the road better,” says Jay Niewiek, member of the Greater Grand Rapids Bike Coalition and founder of The Spoke Folks. MDOT and city staff will continue to cultivate relationships with community organizations and members in each stage of the three-year grant. Over the first eight to 12 month period, officials will develop a program that can be implemented in every neighborhood within the city. Implementation is slated to begin summer/fall of 2014. Matches are provided by City Planning and Traffic Safety Departments, Downtown Grand Rapids Incorporated and private sources.